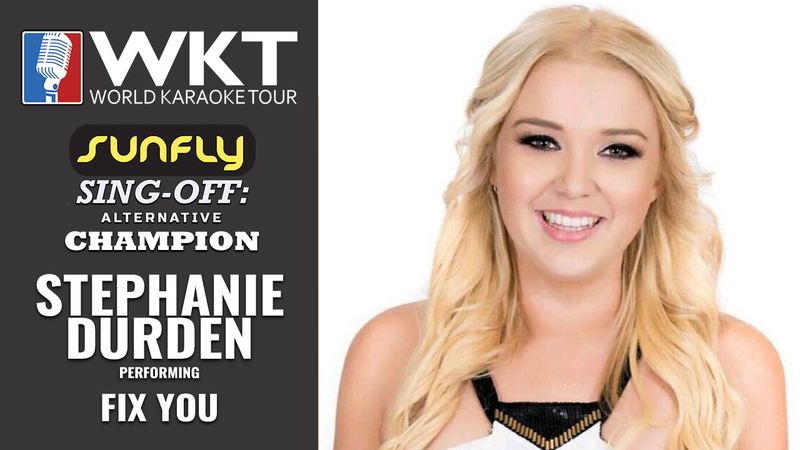 Welcome to the World Karaoke Tour (WKT), the premiere world circuit for competitive singing. 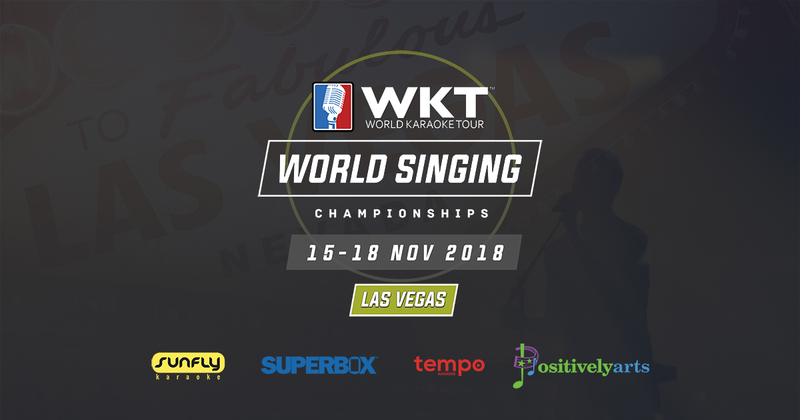 With worldwide online tournaments as well as live events in North America, Europe and Asia, the WKT showcases the finest up and coming singers competing in the world’s most exciting cities. Sign Up to create your WKT Artist Account. You will receive a WKT Artist number and once you've confirmed your e-mail address, you will be able to customize your Artist Profile and register for WKT Events. Once you've created your WKT Artist Account, you may select an event to participate in on the Events Page. Once you've clicked the Register button for the selected event and confirmed your registration, you will be sent to the payment screen to submit the Entry Fee Payment. Registration alone does not guarantee entry into an event. Only after you have completed payment will you be confirmed as a verified entrant. Next, you select one of the elegible songs from the Event view page and create your own video performance rendition and submit a link to it before the Song Submission Deadline. Important! : Songs must be performed live using your "natural voice". Natural Voice is defined as your authentic voice being recorded directly into the camera at the time of recording and not through recording software using any type of voice modulation including but not limited to, auto-tune, reverb, delay, echo, gate, etc; Use of a powered Microphone to amplify your voice during a performance is perfectly acceptable as long as it does not use any voice modulation. 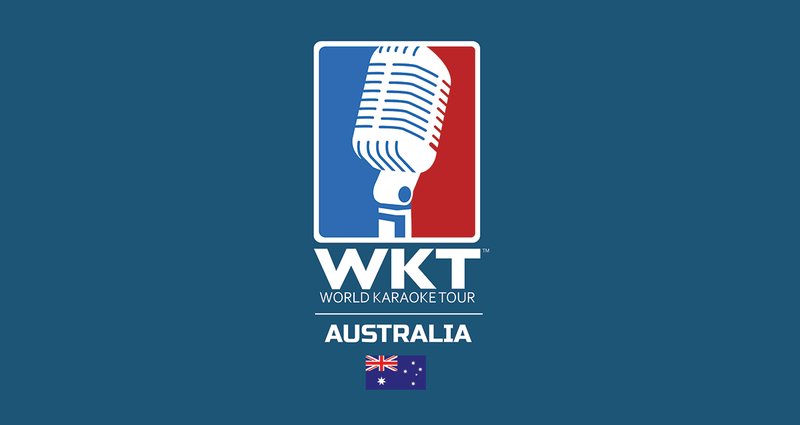 WKT event song submissions cannot be pre-recorded and then synched or lip-synched to a video performance. If using a voice/song recording app such as "Smule" that has built-in voice modulation settings, you must submit your song with those settings turned off. Any song submitted not following these rules will be automatically given a score of zero (0). Upload your rendititon to an approved cloud storage website or on a video sharing platform and submit the link to us on the Song Submission Page. Wait for judging to be completed and see how you placed! Every event you participate in you will gain WKT Points which go twoards your overall WKT World Ranking. 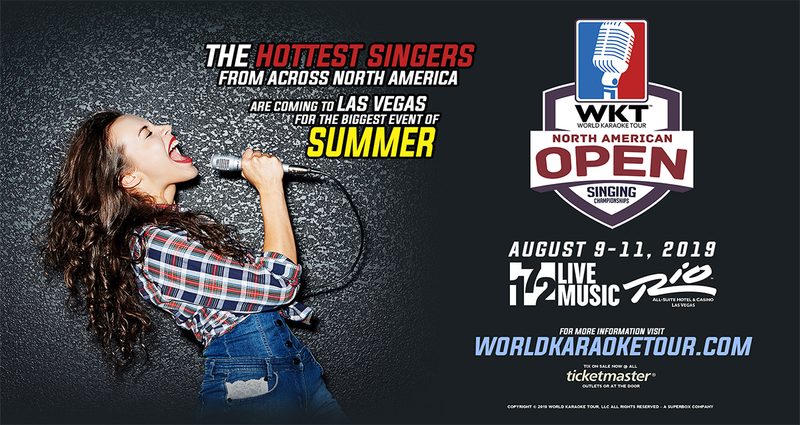 April 12, 2019 -&nbsp;World Karaoke Tour (WKT) is proud to announce the 1st&nbsp;ever WKT North American Open Singing Championships will be held August 9-11, 2019 in Las Vegas, USA. 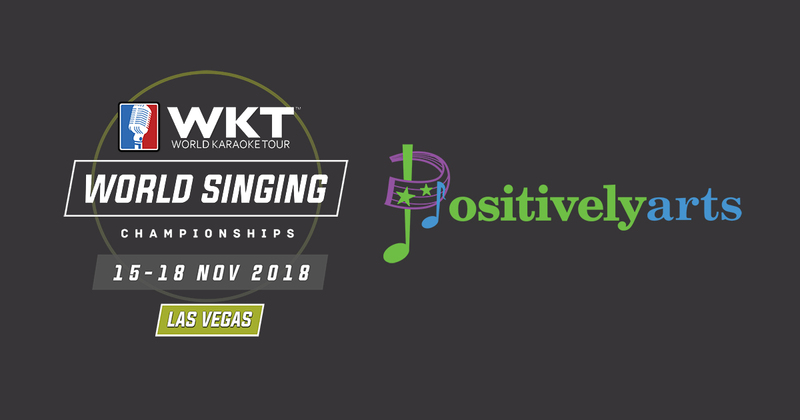 The top competitive singers from across Canada and the United States&nbsp;will vie&nbsp;for the title of North American Champion at 172, a&nbsp;live music venue and modern Japanese restaurant located on the upper level of Masquerade Village inside the Rio All-Suite Hotel and Casino.